Fertility stem cells treatment uses mesenchymal stem cells and oocyte peptide complex injections to treat fertility issues. Stem cell therapy is showing great success in boosting Oocyte production and increasing success rates of IVF, 21st Century fertility treatment. Gynecologists and fertility experts are currently using mesenchymal stem cells to improve the chances of conception of patients suffering from infertility. Patients who have exhausted all other treatment options such In-Vitro fertilization are candidates. If the patient suffers from medical conditions that make conventional fertility procedures too risky or otherwise not possible, stem cell therapy may could be a viable alternative. Results so far are very encouraging and indicate that fertility stem cell treatment is safe and beneficial. 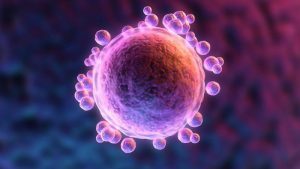 The use of a fertility stem cells treatment as a fertility enhancement process is aimed at promoting the formation of natural Oocytes within the ovary. Fertility stem cells treatment is a process where stem cells are administered directly into the patient´s s blood stream, along with a specific growth factor & peptide complex program. These stem cells release secretions of paracrine growth factors and cytokines such as VEGF, IL-8, and angiopoietin, which act by binding to a multitude of receptors that span the cell membrane in the ovaries. High levels of these factors are secreted from the stem cells, facilitating the beneficial effects of these cells. Furthermore, these factors attach to receptors including the VEGF receptor VEGF-R2 and the Angiopoietin receptor Tie-2, both expressed upon a substantial percentage of progenitor cells, further enhancing tissue function and effectiveness. In addition to these properties, secreted factors facilitate the mobilizations of additional progenitor cells and other important elements involved in the healing process of damaged tissue. The potent combination of these varied beneficial capabilities makes fertility stem cell treatment a powerful new therapy for fertility disorders. When you start our fertility stem cell treatment, our physician injects the cells into an intravenous (IV) bag of normal saline. The cells are then returned over 2 hours, using a normal saline Intravenous Drip. Once in the blood stream, these cells now have the potential to signal Oocyte maturation in the ovary. Within a month or two, the patient should experience an increase in Oocyte production and maturation. 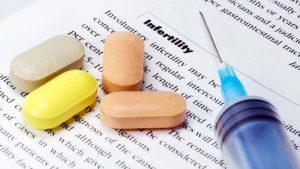 Would you like Treatment for Fertility?